The Greek economy is deeply depressed, but concerns about an exit from the euro area have diminished. Greece has come a long way. And while the nation's economy remains deeply depressed, the risk it will exit the euro zone has been greatly reduced. In a highly symbolic move, Standard & Poor's recently raised Greece's credit rating several steps from selective default to a level approaching speculative grade. The upgrade came after Greece successfully completed a debt buyback and secured its latest installment of bailout money. Of course, this does not mean the economic hardship the Greek people have suffered through six years of recession is now over. But talk of Greece dropping the euro and reverting to the drachma has grown quiet. This is a significant shift from earlier this year. The speculation over a Greek exit really heated up in May, when anti-austerity sentiment propelled far-left politicians to second place in parliamentary elections. In July, economists at Citigroup predicted that there was a 90% chance of a "Grexit" within 12 to 18 months. The Citi economists have since reduced the odds to 60% and now think a Greek exit is more likely to happen in the first half 2014. At the time, the fear was that political instability in Greece could spread financial contagion to larger euro area economies, namely Spain and Italy. But the threat of a populist government coming to power in Athens was "totally overblown," said Jacob Kirkegaard, a fellow at the Peterson Institute for International Economics. "Even if that had been the case, the idea that Greece would leave the euro area was completely wrong," said Kirkegaard. "They simply misread the politics." Greek voters eventually elected a centrist government under the leadership of Prime Minister Antonis Samaras, a moderate politician who has pledged to work with other euro area leaders to reduce the nation's debt. 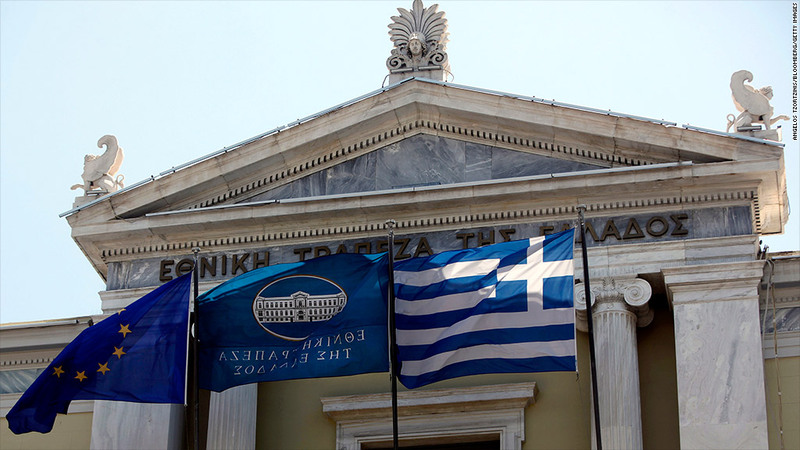 Can Greece stand more austerity measures? Yet, in many ways, the improvement in Greece has had more to do with moves by leaders outside of Athens. Mario Draghi, president of the European Central Bank, has been instrumental in restoring confidence in financial markets. After pledging to do "whatever it takes to preserve the euro" in July, Draghi announced plans in August to make potentially unlimited purchases of government debt. The move sparked a rally in the market for Greek, Spanish and Italian bonds. Meanwhile, Chancellor Angela Merkel has managed to overcome long-standing resistance in Germany to backing additional bailout funds for Greece. 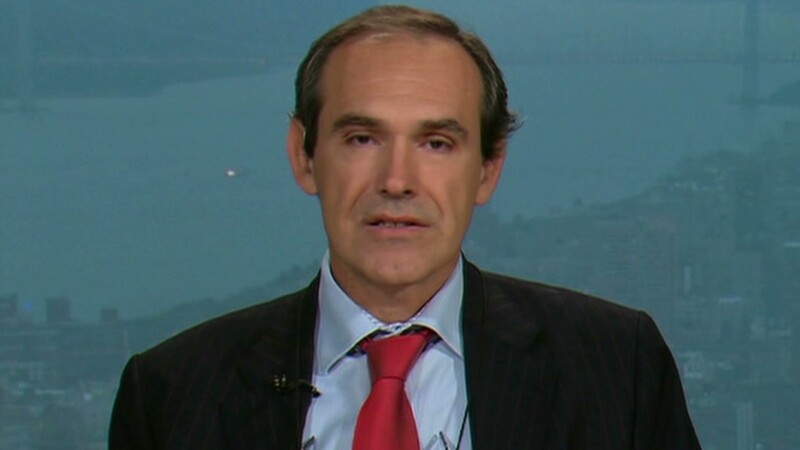 "All of this shows how politics and market psychology are trumping economic fundamentals, which in Greece's case are still shockingly bad," said Nicholas Spiro, director of Spiro Sovereign Strategy. While the situation in Greece has improved, Spiro said an exit "is still a very plausible and likely scenario." "It's just not going to happen anytime soon," he added. "It will happen when Italy and Spain have been shored up. This is not the time to shove Greece out of the eurozone." Many analysts say Greece will be back in the spotlight ahead of parliamentary elections in Germany late next year, given that country's opposition to more bailouts of weaker European nations. Greece also still faces the daunting task of turning its economy around while imposing austerity measures at the same time. "I don't think that what's happened recently has sorted out Greece's long-term problems," said Ben May, an economist at Capital Economics. Given its dismal economic outlook, May argues that Greece will not be able to meet the debt reduction targets set out by the International Monetary Fund in the nation's bailout program. That will once again lead to a situation where Greece's lifeline could be yanked, he added. After securing an historic writedown of its privately-held debt earlier this year, analysts say the only way to make Greece's debt load sustainable is for the nation's public-sector creditors to do the same. But it will be very difficult to convince taxpayers in Germany and other core members of the euro area that forgiving Greek debt is necessary. "In our view, the economic fundamentals and political situation in Greece means this calm won't last," May said.